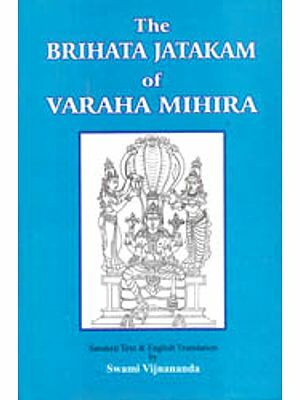 This translation of Brihath Jathaka by N Chidambram Aiyer has been long out of print and not many know of this commentary. The interesting part of this commentary is that he gives the meaning of the verses and then adds his own notes on the text. At some places these are extensive. Also he has converted these texts into modern mathematical models in degrees and minutes and has attributed the data to degrees and minutes. Also he has compared the Indian system of nomenclature to western system as well. 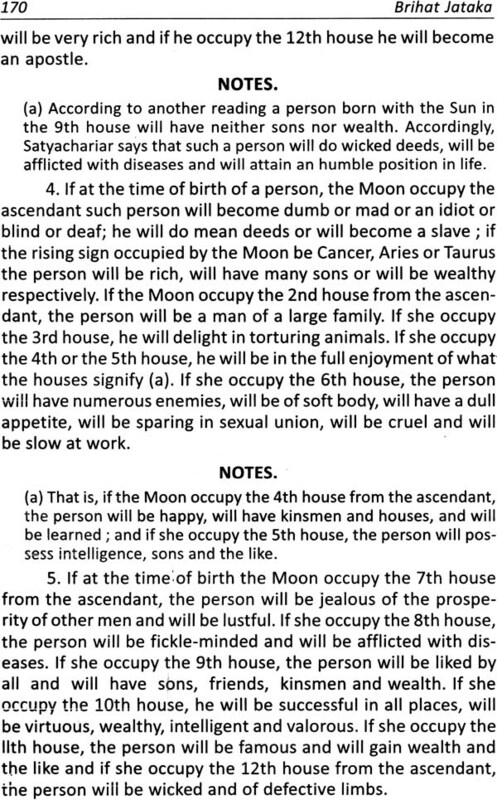 The appendix to the translation contain numerous tables and diagrams relating to the construction of horoscopes. 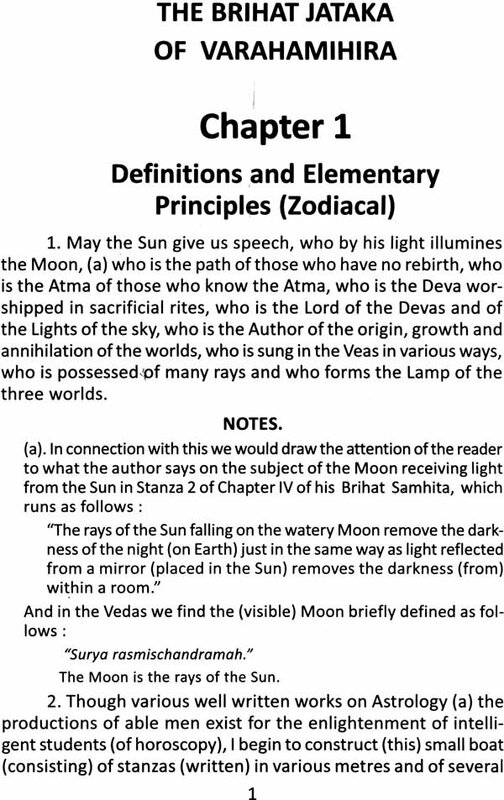 An important addition to the Astrological Literature. 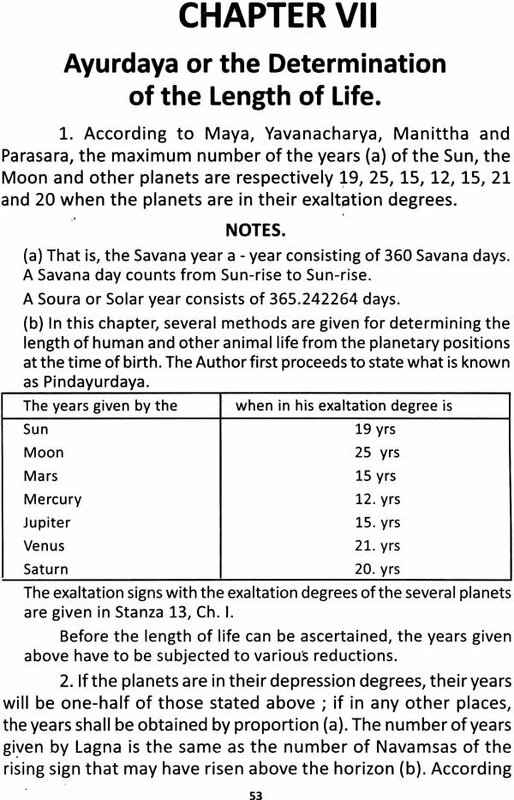 A complete reference text on Astrology. The first edition was carefully revised and partly re-written by my brother, the translator, a few years before his death, which occurred in Januray 1892. 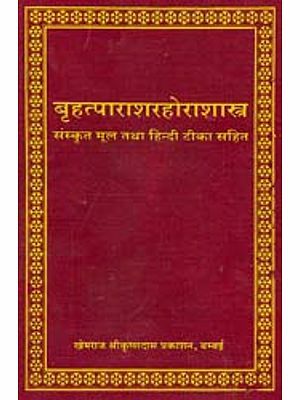 Since the new edition was much in demand by the public both Indian and foreign, but owing to many unforeseen difficulties, I have not been able to bring out the edition earlier. It was the intention of my late lamented brother to incorporate in this edition a supplementary chapter on the great many varieites, curious and wonderful, of planetary and other yogas from higher treatises on horoscopy and also to publish a key to this work which could have enanced the value of the book and facilitated the work of the ordinary reader. But unfortunately his unexpected death has made this fulfillment impossible. My thanks are due to CoI.H.S.Olcott President founder of The Theosophical Society, Adyar, but for whose hearty cooperation I could not have now brought out this book. There is probably not one subject which is so ill understood, which so many people pretend to know, and on which so many are prepared to express an opinion, as the subject of Astrology. The Indian proverb truly says that there is no man who is not a bit of a physician and an astrologer; and it is equally true that there is no subject which is so ill-understood as these two. 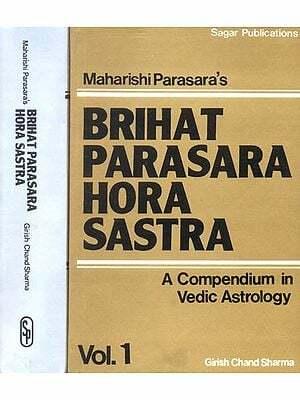 The fact is that the broad medical and astrological principles are so many that everybody of necessity learns a few of these, but experiences a difficulty in mastering all of them. 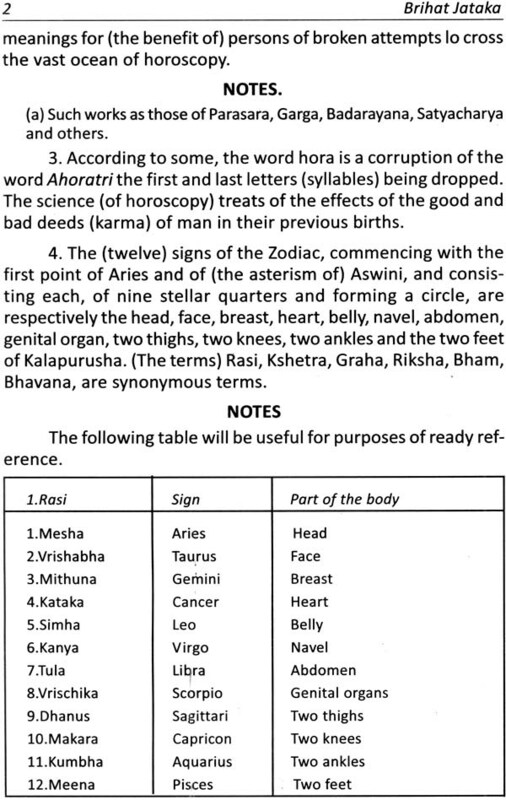 It would be interesting to note the various subjects with which astrology is confounded. Persons with well-developed intuitions are often found to make correct predictions of events. The Yogis are persons of this description. Their peculiar knowledge is certainly not the result of any study of astrological works. We also find another class of men who imitate these men and also make striking statements. Birmingham gold is often taken for sterling gold; German silver for pure silver; and we have a variety of inferior stones, white, red and green that are often mistaken for diamonds, rubies and emeralds. The world is full of this dual character of things. Every department of true knowledge has its inferior counterpart and so we have a number of men who, possessing no occult powers, but securing the help of a few elemental spirits, practise imposition on the ignorant public. But the world is not without a touchstone to detect the hollowness of their pretensions; these men will give you a few correct particulars regarding remote past events, a great deal of particulars regarding present events, one or two particulars regarding the immediate future, and no particulars at all about the distant future. I have known these men and tested the truth of their statements. These men pretend to be astrologers. Some of them carry no books at all and make amazing statements touching past events in prose and verse in an extempore sing-song fashion and without the least effort, even though the questioner is a perfect stranger; while others show you some huge antique cadjan book and pretend to read from its pages. 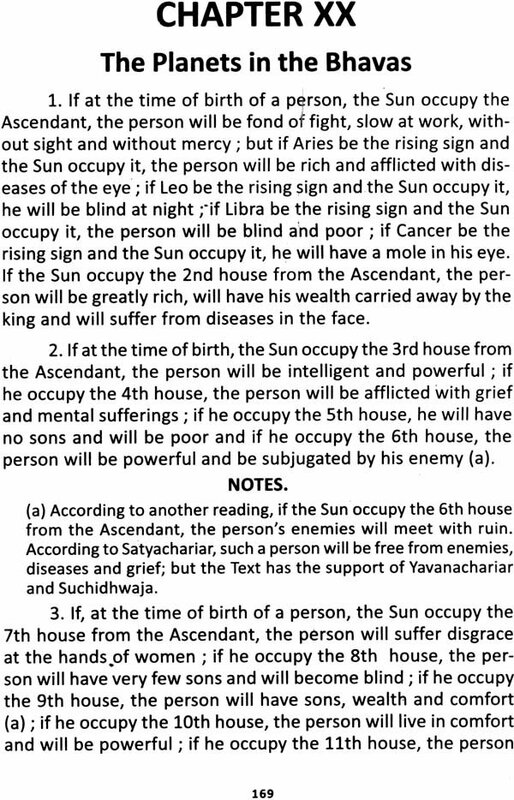 This was exactly the way in which Col. Olcott's questions were recently answered by the Brahmin astrologer who pretended to read from the pages of the works of the Great Bheemakavi (vide May, 1885, issue of the Theosophist}. I am sure that neither Col. Olcott nor his intelligent friends ever had a look into the book to see whether what was read out was really written there, and if so, whether the writing was not a fresh one. In all these cases the astrologer, if he is one at all, doggedly refuses to allow others to look into his book; for, he says, he is not permitted by the book deity to do so! There is a more wonderful man in Pondicherry at present. He pretends to read from the works of Nandikeswara. 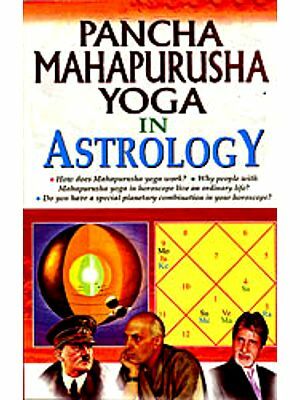 Such astrologers are making vast sums of money. The statements they make are really puzzling ones. But for these and the way in which they are made, the utter want of preparation and the like, I should have been inclined to discard the element of the help of the elemental spirits. Let those who would object to this, examine the matter and then pronounce an opinion. Nothing can be more funny than to find young men especially, taking up astrology as their first subject of attack in their public utterances. It is a subject to which they pay little or no attention except for purposes of ridicule. To all your questions, how do you prove this statement and how do you prove that; their one ready reply is that their common sense tells them so. They forget that common sense is a sense which changes in its nature as one advances in his study, and it changes so much that the common sense of one age is different from the common sense of another age, the common sense of one nation or of one individual is different from the common sense of another nation or of another individual. Where proof is advanced by a few, it is equally interesting to examine it. The proof is that such and such astrologers made such and such predictions and that the predictions have failed and ergo, astrology is no science! 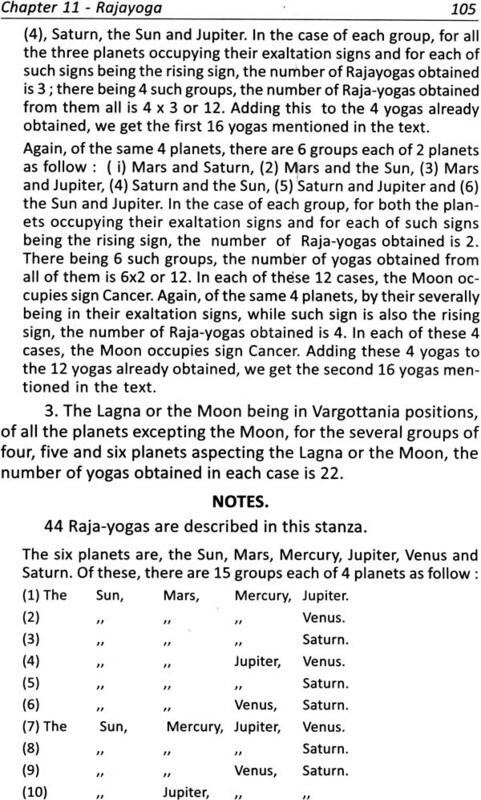 It is evidently taken for granted that the astrologer was really learned in the science, and that there were not those numerous errors of data to mislead him. Another objection to the science is that astrologically the fortunes of two persons born at the same moment of time, but in the opposite quarters of the globe, must be the same, but that they can- not be and are not the same. Here is an ignorance betrayed regarding the elementary principles of the science. It is true that the planetary positions are nearly the same except for the small matter of parallax. But it is not the planets alone that go to shape one's fortunes. Time of birth, which is represented by the Lagna or the rising sign, has a great deal to do with it. 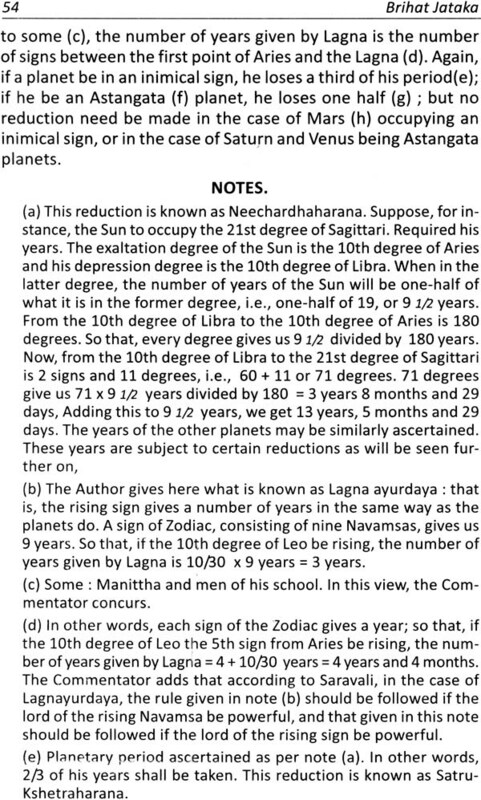 In other words, because the local times of the two places are different, the Lagnas must be different; for when the 20th degree of Leo, for instance, is in contact with the horizon here, the 20th degree of Aquarius will be in contact with the horizon of our just antipodes at the same moment. Our rising sign is their setting sign, and our setting sign is their rising sign; so that a difference of longitude gives a difference of local time and consequently a difference of Lagna. But suppose the places to have the same longitude. Take two places for instance on the same meridian and therefore due north and south of each other. 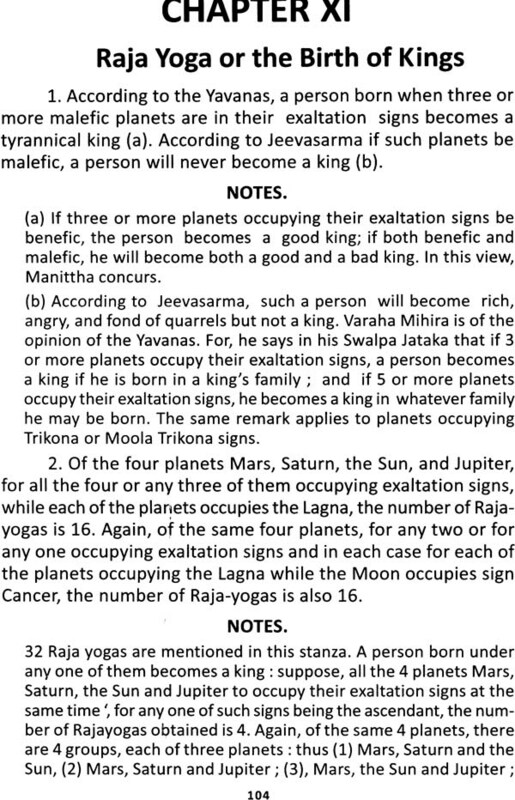 Now the question is whether the Lagna is the same for both the places. No. The Lagna is a point in the ecliptic which is inclined to the equator. The planes of the horizon of the two places are different and they cut different parts of the ecliptic. It therefore follows that a difference of latitude gives a difference in the Lagna. So that places with a difference of either longitude or latitude or with both cannot have the same Lagna at the same time. That Lagna or mere time or space, irrespective of the planets, has a great deal to do with shaping the fortunes of a native or Jataki will be a new revelation to most people. We will come to this subject presently. A horoscopic diagram or figure of the heavens represents both local time or Lagna and planetary positions.